Businesses today run on technology—and the strategies that drive the selection, design, and implementation of that technology must be spot-on. It may seem simple in principle to use a network for accessing the Internet, sending email and running daily business applications either on-premises or remotely. Yet for businesses of nearly any size, success or failure rests largely on the performance and reliability of that network. To thrive in a competitive environment, your business deserves nothing less than an optimal enterprise technology network—i.e., a network that’s designed for your business’ unique needs. When clients ask us at Lutz Technology to evaluate their current network and design or build a new network infrastructure from the ground up, the following 6 tips serve us well as guideposts for our work. 1. Understand the needs of the business up front. From a technology standpoint, that means identifying the specific business application software that will run your business. Software dictates all technology decisions that follow. If you start talking about hardware first, you risk purchasing too much or too little equipment or worse yet something that won’t work at all. All software vendors have software and hardware requirements that provide best practices to get the highest performance and reliability from their business applications. If you deviate from that, you’re setting yourself up for problems—including performance and functional issues. 2. Cloud vs. on-premises operation – determine your strategy, then build out accordingly. What does running in the Cloud mean? Basically, you are renting your server(s)’ needs on a monthly basis. Servers are located in a secured data center somewhere other than your office. You are paying for compute power, storage, backup, connectivity and redundancy on an as-needed basis. Connectivity from workstations to servers is via the Internet. Cost of ownership is more expensive than on-premise solutions. Data transmission to and from the Cloud can have costs you were not planning on. Operation is dependent on high-quality Internet connectivity. What does that mean? Until recent years, the majority of servers running small to medium businesses were on-premise or running in a room in their office. 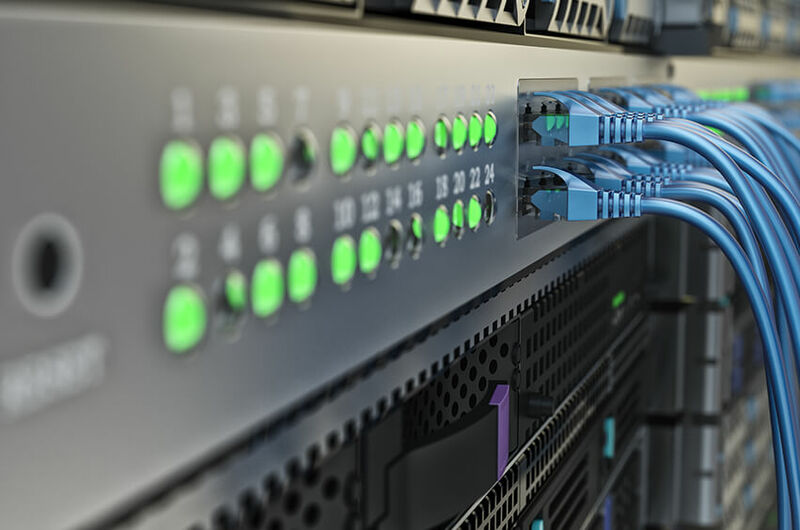 Connectivity from workstations to servers is via copper twisted pair Ethernet cabling. A hybrid solution is where there are both local servers and some “Cloud” presence in the network architecture. An example of this would be Microsoft 365 Cloud email services along with a local file/print/accounting server. At Lutz Technology, we recommend that businesses weigh the cost implications of cloud vs. on-premises operations with their overall business and operational goals to arrive at a solution that makes the most sense. Whether you opt for an on-premises or Cloud strategy, your business depends on an Internet connection that is fast and reliable. The best Internet connection is based on a fiber connection to your building while the least expensive it based off a cable modem technology. Most small and midsize businesses today utilize a single Internet connection. It’s worth having a conversation about the benefits and costs of having a backup Internet connection. 4. Develop and deploy a data protection/disaster recovery strategy for your network. Data protection and DR services are insurance policies for human error and attacks from the World Wide Web. Ask yourself, how often do I need to have my data backed up? Once every hour? Servers, folders, and files should be backed up locally and offsite at least daily. They should be encrypted at rest and in transmission. In a disaster, how long can you afford the network to be offline? Make sure your plan addresses and specifies 2 things. RTO and RPO. 5. Ensure your network is properly Secured. A network that is well protected has the following qualities. Logical separation of access to business data on the network. There is never a case where you will be 100% secured. 6. Work with an established, experienced and trusted IT service provider to architect or re-architect your network and provide ongoing support. The best providers will utilize Tier 1 hardware and software from trusted and well-supported vendors. Hewlett Packard, Dell, Microsoft, and Cisco are Tier 1. Your primary goal should be to have ongoing access to best-in-class support and get a five-to-seven-year life cycle out of your equipment.